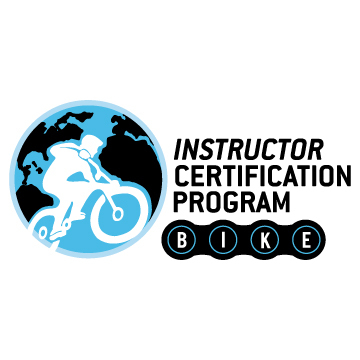 Bellingham, WA – The Bike Instructor Certification Program, formally (IMBA-ICP) is excited to announce a “Cross-Over” Certification. The Bike Instructor Certification Program’s mission is to advance the global standard for mountain bike instruction, driving an inclusive community that empowers our members through education, certification, service, and experience. The Bike Instructor Certification Program, formally (IMBA-ICP) is building bridges and community with our new “Cross-Over” courses. These courses are offered to members of the mountain bike community that may have certifications from other recognized organizations. “We invite you to join the BICP family and take our “Cross Over” Certification” says Shaums March, Founder and Lead Instructor for the BICP. Our one-day training course will test you on your knowledge of the BICP terminology, methodology, and your skills ability and knowledge to teach in accordance with the BICP curriculum. Demand from the community has shown an increase in interest in our sport and the demand for great mountain bike instructors is needed. Expand your knowledge and learn new tools to become a stronger and more well-rounded instructor. More information can be found at https://icp.bike or, contact Nicole@icp.bike for further details and clarification.